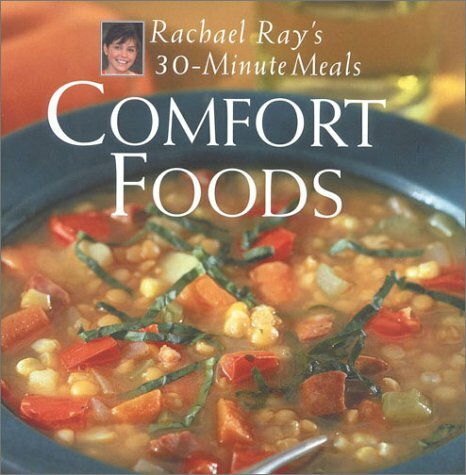 Rachael Ray's busy fans rely on her televised 30-Minute Meal show to create meals in minutes, and they have requested this fabulous collection of comfort foods. Such childhood favorites as Stovetop Macaroni and Smoked Cheddar Cheese. Barbecues Beef Burgers, and Meatloaf Patties and Smashed Potatoes are included, along with hearty North Country Corn Chowder and festive Italian Wedding Soup, dishes perfect for wintry nights. With a nod to lighter fare, Rachael includes appealing Crab Cakes and Roasted Red Pepper Sauce, Linguini with Mussels, and Classic Garlic Shrimp, among other tempting seafood delights.